Playful cover image illustrations for Think with Google website focused on insights, trends and research in digital marketing. Think with Google (TwG)emerged from various other Google initiatives to position itself as a thought-leader on topics like consumer trends, marketing insights and industry research. TwG covers a lot of different industries on the site and most posts include a featured image at the top of articles However, sometimes it happens that an article does not include an individual photo or illustration and TwG needed a fallback image solution. 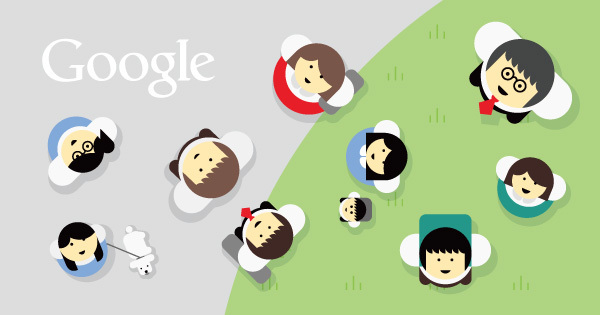 Think with Google APAC (Asia-Pacific) commissioned us with the design of these illustrations. The illustrations had to cover 10 industries TwG reports on, plus a general image for all articles which sit between various topics. Top to bottom: Frontal View, ‘Hands’ View, Birds-eye View and the Flat Object View. Samples of concept sketches for various industries (top to bottom): Gastronomy (birds-eye view), fashion (frontal view), automotive (‘hands’ view) and finance (also ‘hands’ view). In a final step the client opted to choose a mix of the various Views and sketches and the final vector illustrations were drawn.